After a blissful morning and afternoon consisting of watching the FIFA World Cup, going to the movie theatre and then going for some $2 bowling, I was ready to top it off with some sushi. My family was happy to be my dining partners for the evening. It was a little hard to find parking due to the large size of the restaurant and its small parking lot. When we entered the restaurant, we luckily managed to get the last free table. Surprisingly, out of all the items we ordered, the Okonomiyaki arrived first. The Okonomiyaki was priced at $4.95, which led me to think that I would get a fairly small one. 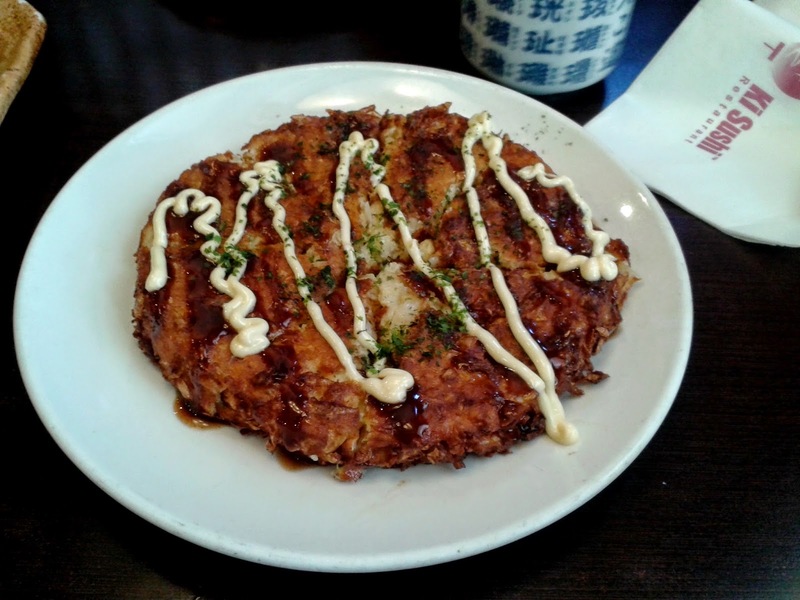 However, the Okonomiyaki was a full-sized one (albeit not large), cut into 8 pieces. The breading inside was soft with a slightly crunchy exterior. The balance of the sauces could use some improvement, as there was too much mayonnaise and not enough okonomiyaki sauce. The main seafood component was squid legs and there was a strong essence of lettuce in the Okonomiyaki. 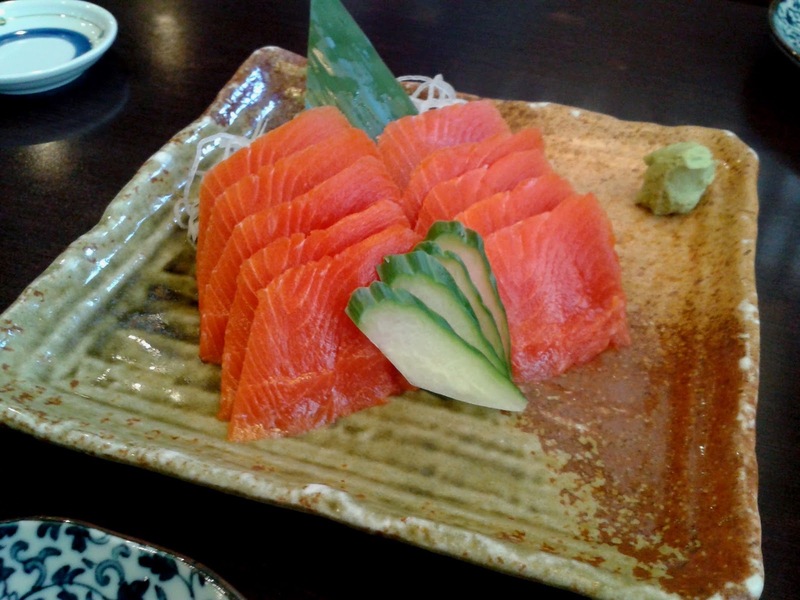 The Sockeye Salmon Sashimi (large) came with 10 pieces of large, fresh sashimi. This was definitely one of the more appetizing components of today's meal. The sashimi was rather soft and cut in a consistent way. 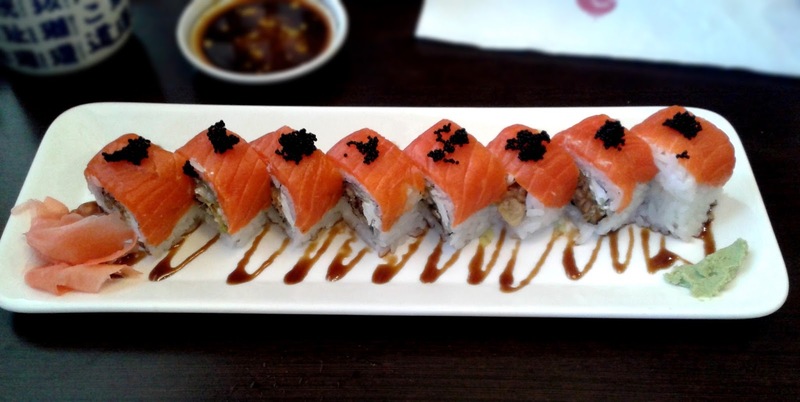 The Helen's Roll consisted of salmon, black tobiko, tempura unagi, lettuce and cream cheese. I believe this is the first time I have actually had lettuce in a roll. Well, there was a very small amount of it and it did not really add or subtract to the roll. The roll was a little too dry but contained a good amount of salmon on top. Cream cheese was used sparingly, which helped to retain a good balance of flavours. However, there was very little unagi in this roll. The Vancouver Roll was one of my favourites during my previous visits to Ki Sushi, and this time, they did not disappoint. 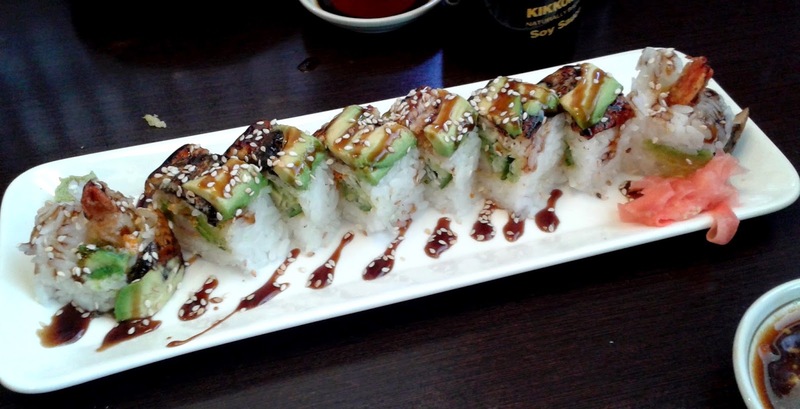 This roll is essentially a variant of the popular Dragon Roll containing unagi, avocado, cucumber and prawn tempura. They did not use the name "Dragon Roll" because they already had a Dragon Roll on the menu. The roll has a soft texture on the outside and the shrimp helped to provide a denser core. The cucumber used in the roll was not intrusive and the unagi was adequately flavoured with help from the teriyaki sauce, though a little more sauce would have helped. 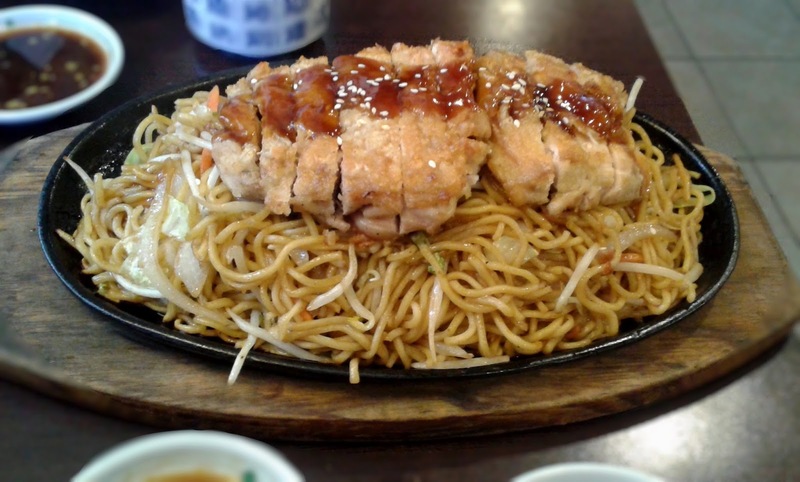 The Chicken Teriyaki with Noodles came with a few pieces of chicken teriyaki resting on a terrifyingly large bed of yakisoba noodles. You would likely need a party of six, some very famished people, or a cow to finish this dish. This dish severely lacked teriyaki sauce, though the noodles were sprinkled with pepper, which helped prevent the noodles from becoming bland. The noodles were also a little too salty. The chicken was tender, but the skin on some of the pieces of chicken was a challenge to chew. 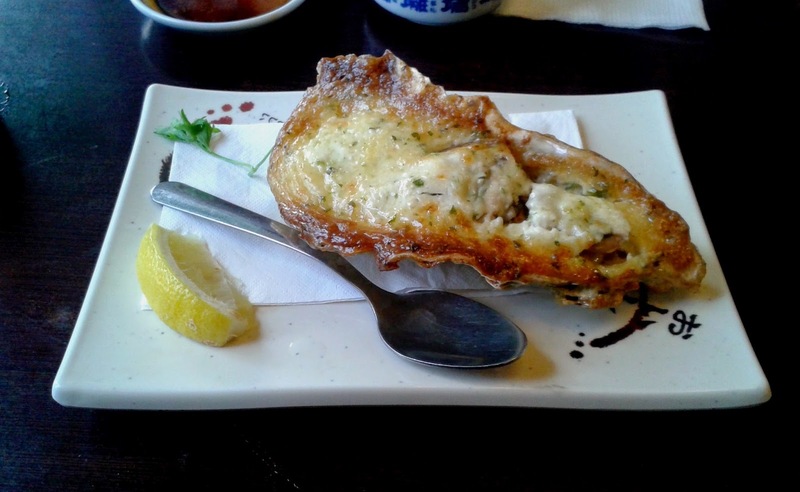 The Oyster Motoyaki came with a fairly large oyster, some mushrooms and spinach under a creamy layer of egg and mayonnaise. The dark green part of the oyster was too strong in terms of taste and nope, the mushrooms were definitely not going to fool me into believing that there was more oyster than there really was. That being said, there was nothing amiss about the top motoyaki layer, the softer, jelly-like parts of the oyster were delicious. Ki Sushi remains one of my preferred restaurants for Japanese food in New Westminster, mainly for the extensive variety in the menu. There was a lot of Mandarin spoken by the servers, which might explain the variety of choices and the frequency my tea was refilled. They do a good job of pricing the menu items appropriately, with the misses priced lower and the hits priced higher. 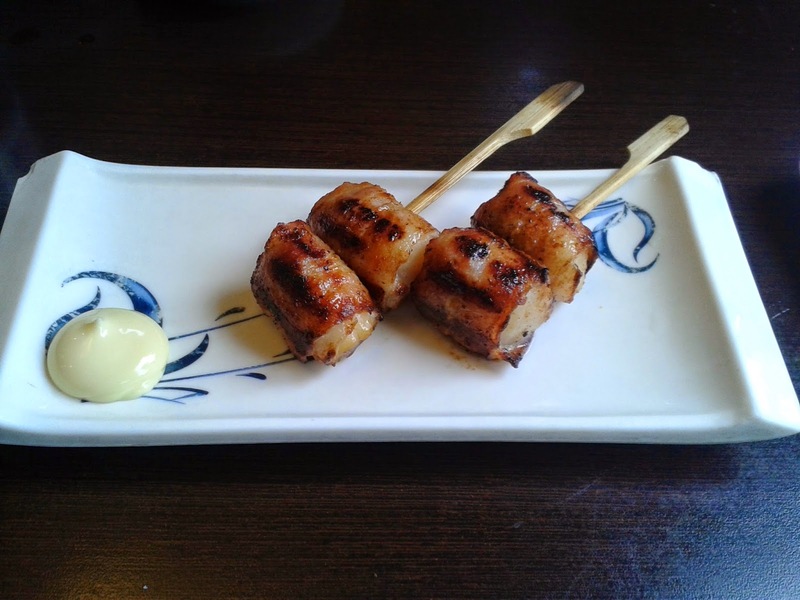 It also appears to me that the simpler the dish, the better it is executed at Ki Sushi.